We’ve officially made it halfway! I get to see D in LESS than 6 weeks! And in 3 weeks, he’ll get his phone back woohoooo! I am so excited to be on the other side of the hill and am really proud of how we’ve been doing this last few months. I wanted to jot a few thoughts down of what it’s been like for me so far. I think somewhere down the road I may want to publicize this blog because I know reading other navy blogs was super helpful for me in preparing for OCS, so I wanted to keep track of just a few of the things that have been helpful for me to not only survive, but thrive in these last six weeks. 1. Having a list of things to keep me busy – I started making this list of things way before D left. I was worried about what I would do with my time since we do a LOT together and I have barely crossed two or three things off the list because I’ve been so busy – I’ve learned that no matter how much time you have, there’s still not enough time in the day to do everything! 2. Making an effort to strengthen my faith each day – I know this has been the most helpful thing I’ve done. I’ve been attending the temple weekly and praying, fasting, and reading my scriptures much more than I did before D left. I’ve definitely been strengthened by the Lord through this, and it helps keep these teeny few weeks in an eternal perspective. 3. Having a routine way to connect with D – Writing him a letter every night before I go to bed has been really helpful in wrapping up my day and helping me to feel close to him. I try to be encouraging in my letters, so it helps me to focus on the positive as well. I also keep notes throughout the days of things that I want to tell him about in my letters or emails. 4. Taking good care of myself physically – Sure I haven’t eaten quite as good as I did when my paleo husband was here to feed, but I also haven’t gone crazy. I have been exercising consistently, doing lots of yoga, and have also allowed myself to just sleep when I’m tired! 5. Spending time with family and friends. I was bummed we had to move right before D left, but its been fun making new friends in addition to catching up with old ones. I’m also grateful to have my parents nearby to spend holidays with and get extra kitty snuggles! I have also loved connecting with the wives/girlfriends of D’s classmates on facebook and am so excited to meet them in July! Someone told me before D left that every time their husband went away for business, she laid on the floor and cried the entire time he was gone. Besides the fact that that really isn’t sustainable for three months as I’m sure I would die of dehydration, that’s just not me. I’m at a point in my life I don’t want to be unhappy, no matter what my circumstances. This is for sure a challenge, but it’s also one that we chose, which makes it a heck of a lot easier to deal with than some of the trials we’ve been through that we didn’t want to go through. There’s definitely been times during the last 6 weeks that have really sucked, but I don’t think it means I love my husband any less because I can be okay without him. It also doesn’t make me any better than those who really struggle when their husbands are gone. I know this is just the first of many separations during D’s military career, and I’m sure they’re all going to be beasts of their own. But I’m working really hard to enjoy myself rather than be miserable. And that’s not going to make our reunion in approximately 40 days and 19 hrs any less sweeter!!! 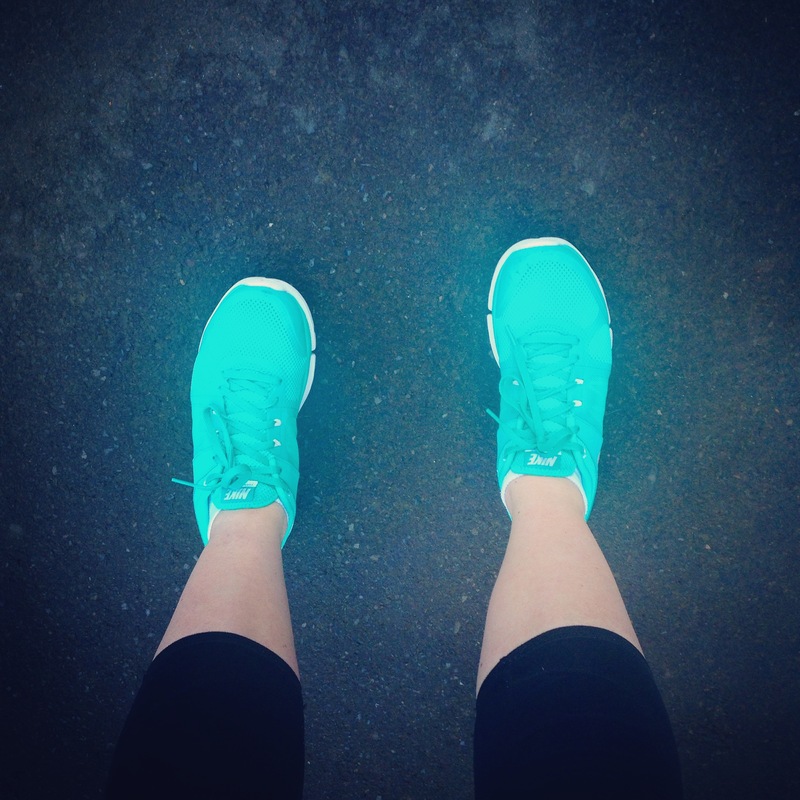 And one thing I did cross off my list this week – I ran a mile! Not such exciting news for a runner, but for someone who hasn’t run in 15 years, I was incredibly proud of myself!